Sometimes I’d rather be lazy and stop cooking. I’d get by on take out, and frozen dinners, and chips and salsa, and ice cream. I don’t want to stand in the kitchen. I’m tired and busy – with work and training. And I’m hot… Whine whine whine. But the problem is that I just really like real food. I feel better when I eat it. So this summer it’s all about easy stuff. One pot things that can be eaten different ways. I bring you my versatile curry. I used ground chicken, because it was in the freezer, but this could easily be a vegetarian dish. Actually most things were already in my freezer or pantry. Perhaps you can use it a littlespring board for you own cooking imagination. First I started cooking some rice (1.5 cups or was it 2?). 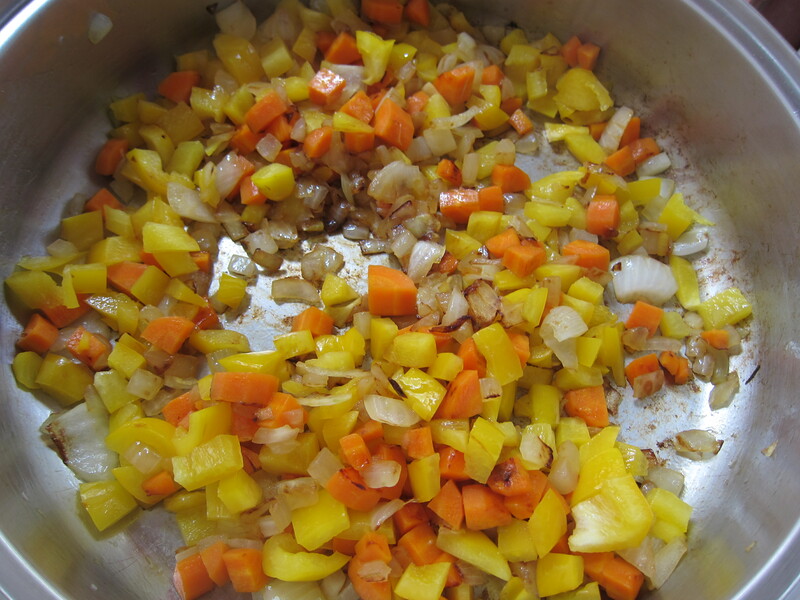 I fried up some old veggies – an onion, bell pepper, and carrots. I added shriveled garlic and ginger let it fry a bit. Then added a crap load of curry. Then added the ground chicken. 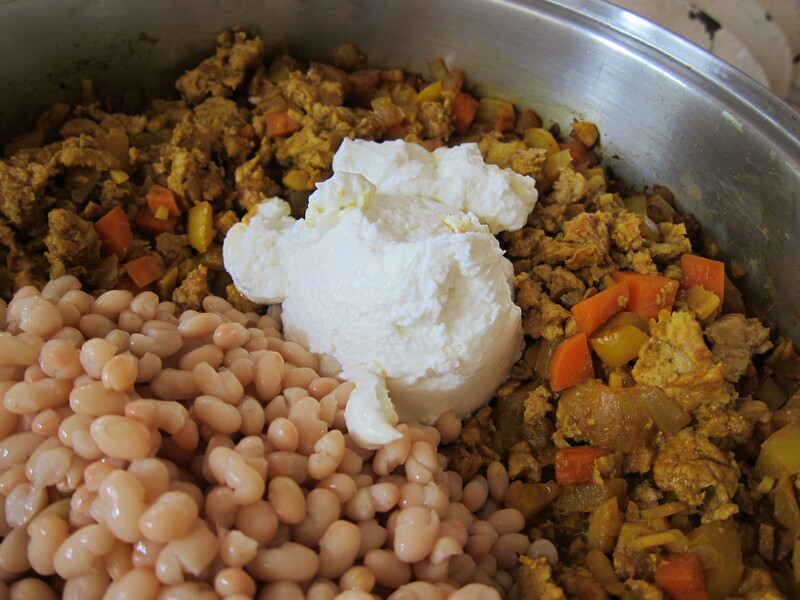 Once the chicken was mostly cooked I stirred in a can of navy beans and plain greek yogurt. 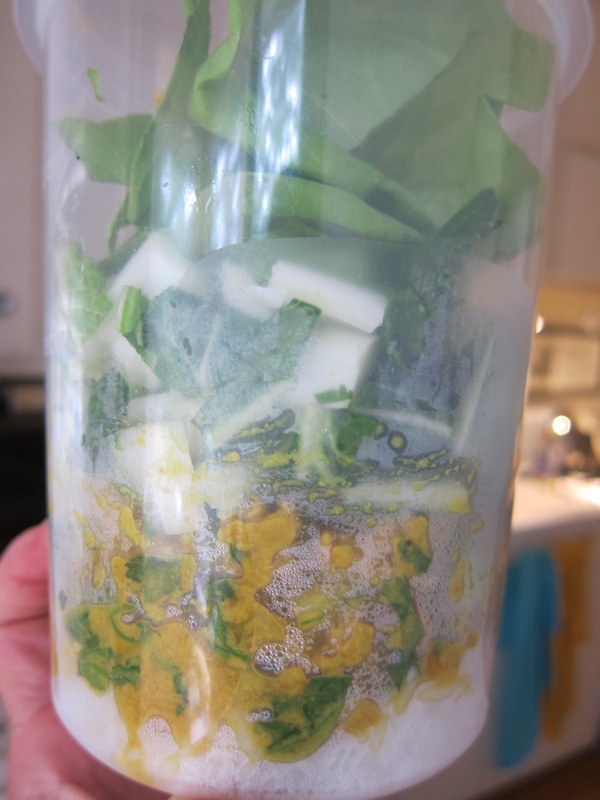 Added some chopped up bok choy. 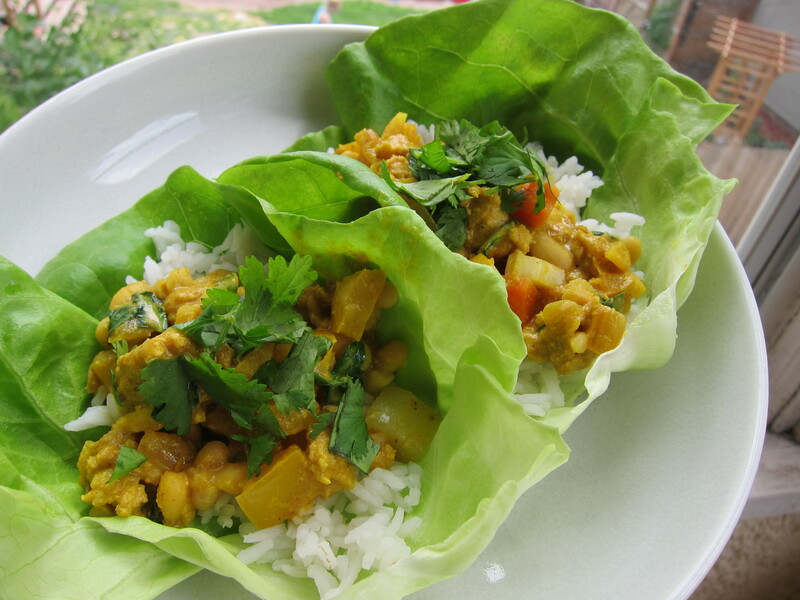 Served as lettuce wraps with cilantro! Or as lunch jar salads! 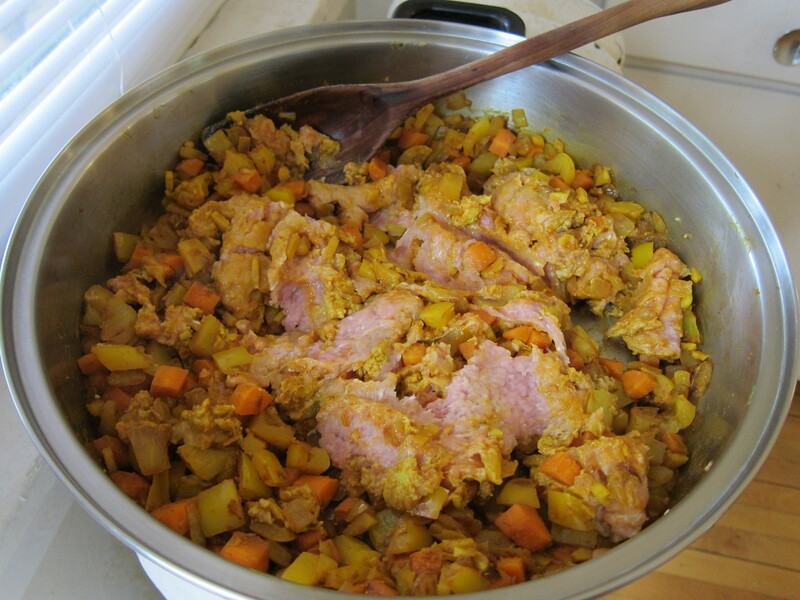 Or later as an unattractive but perfectly yummy mash up of all the things. 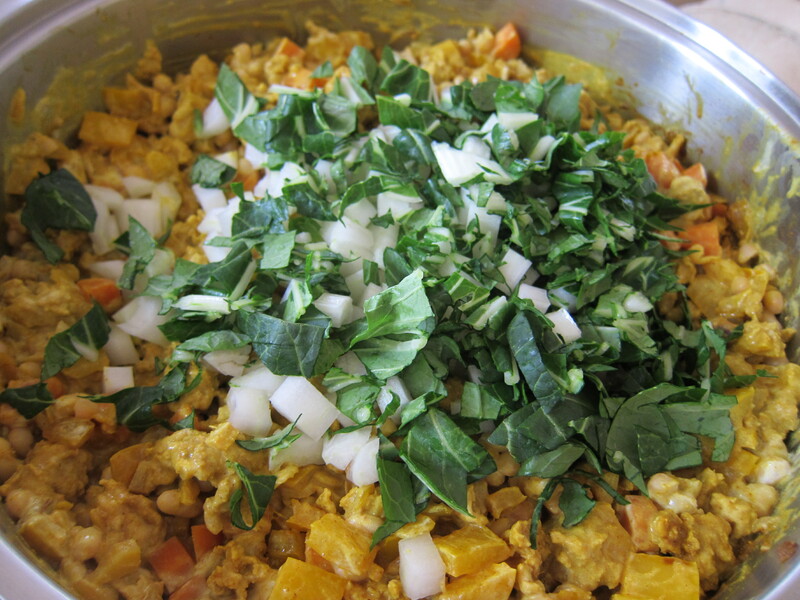 This entry was posted in Kym Cooked and tagged chicken, curry, healthy food, salad, vegetarian. Bookmark the permalink.